Do you have a storefront bakery that clients may visit? Sweet Guilt is exclusively by appointment. We design and create our master pieces in our gallery located in Sunrise, Florida. Minutes away from Sawgrass Mills Mall. Do you have desserts ready to purchase? No. Each other must be order ahead of time. Lead time is typically a week for simple orders and a month for customized embellishments. 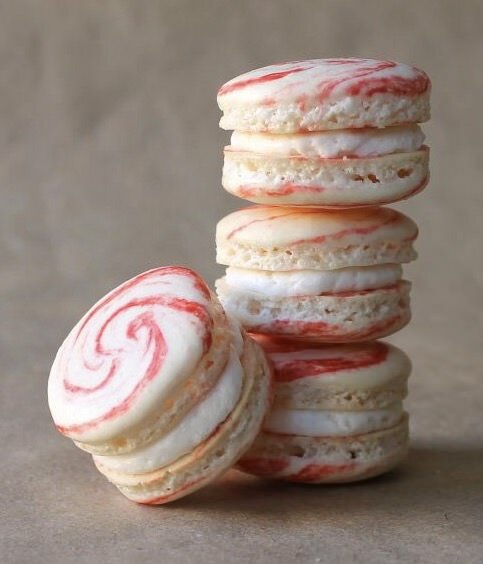 French Macarons orders must be placed within 72 hours. May I freeze the desserts? The best way to enjoy Sweet Guilt cupcakes is at room temperature. Please do not refrigerate or freeze! If you choose to refrigerate or freeze, please place all cupcakes in an airtight container and let slowly thaw to room temperature for about 3 hours before enjoying them. If the cake is covered in Homemade Fondant - DO NOT Freeze, nor REFRIGERATE, this will totally ruin the fondant. How do you make your desserts Gluten Free and Vegan? I replace the flours with nuts, garbanzo or Arthur's Kings Flour Gluten Free. Based on the client preference I replace the refined sugar with agave, honey or Stevia (depending on your restrictions on Vegan diet). Instead of eggs to bind the ingredients, I use Sugar Free applesauce, bananas or avocados (these are amazing as blenders and taste incredibly delicious). For frosting and milks I use Almond, Coconut or Rice milks and create great variations. The chocolates used for Sweet Guilt creations are only the finest organic and Dark chocolates. Is there a minimum order? How do I place my order? The minimum order per flavor is a dozen for cupcakes and 30 for French Macarons. A minimum of 5 working days is required to fulfill your order depending on the quality and complexity of the order. Where do you deliver? Is there a charge? We service South Florida from Palm Beach to Isla Morada. Delivery fees will vary depending on distance, loading, setup required, logistics and delivery destination. Is there an additional charge to set up upon delivery? Styling and setup of your desserts and masterpieces is highly recommended. There is an additional fee for this service. Can you ship your desserts? As I hand craft all Sweet Guilt creations I do not use any preservatives, I do not ship my desserts. Where can I buy or rent the stands for my cake, cupcake or French Macarons? We offer a variety of stands that range in sizes, colors and designs. Prices will vary. Kindly inquiry upon consultation. How do I contact you to arrange and appointment / consultation? Is there a charge for a tasting? After an initial phone consultation, we will set up a meeting and tasting will take place. The cost of the tasting will vary from $25 to $100 depending on the items requesting. Once a contract is signed and a deposit is collected, we credit the amount invested in the tasting towards the event. The minimum for a credit is $800 or higher. How do I pay for my wedding or event? We request a 50% deposit upon signing the contract and 10 days prior we will request the balance. We do not release any drawings or sketches until a contract is signed and a non-refundable deposit has been received. Are you present in our Social Media? We are in Facebook, Instagram, Pinterest and Twitter. @sweetguiltbyangelica Click on the social icons on the top or bottom of this page to follow us. All of our flavors from our Guilty and Non-Guilty line are available via the website. 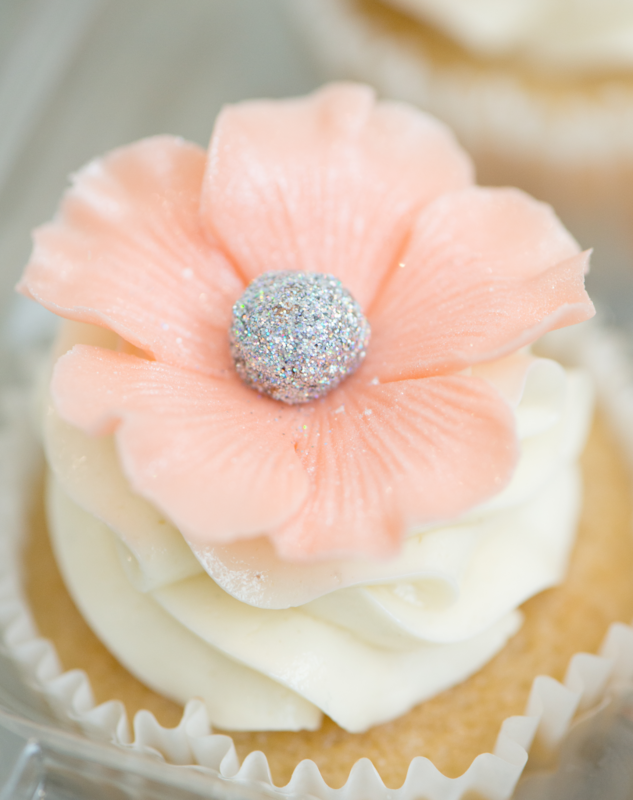 Click at the bottom of the menu bar on the Boutique Confections page for complete menus. We will be delighted to email you the menus as well. "Truly amazing quality! Sweet Guilt was our choice for our wedding cake, and I could not be happier with the outcome. Angelica was able to bring my vision to life, and my guests were complimenting on the beautiful design. Let's not forget about the taste! We had multiple cake flavors & each melted in your mouth. Sweet Guilt is top notch!" "Wow wow wow is all I have to say. My cake was so incredibly beautiful and sooooo delicious. When I first mat for my tasting I was skeptical about the whole natural cake idea.The trial was an absolute delight with incredible presentation and delicious product we were all left with our mouth's open and in shock by the different flavors. We got married 4/8/17 and I still have people contacting me about where we had our cake made and how they have never tasted or seen a cake so beautiful. Thank you Angelica for giving me the cake of my dreams." “Finding a designer cake firm that offered everything that we wanted for our dessert table turned out to be quite a task. Some offered cake only, some mini desserts and some just donuts and the look was set by catalog or look book. We absolutely fell in love with the Sweet Guilt warmth and stunning gallery. They offered every dessert that we wanted and customized it to perfection. Their desserts look like they are from a magazine, literally too pretty to eat, yet once one take a bite one will want to eat them all. We ordered french macarons, baked donuts (that are to die for), cake pops, cookies and our wedding cake. The desserts were the talk of our reception. Josue and I are so happy that we chose Sweet Guilt for our wedding and look forward to have many parties to have their sweets again. Thank you for you personalized service and make us feel like royalty." 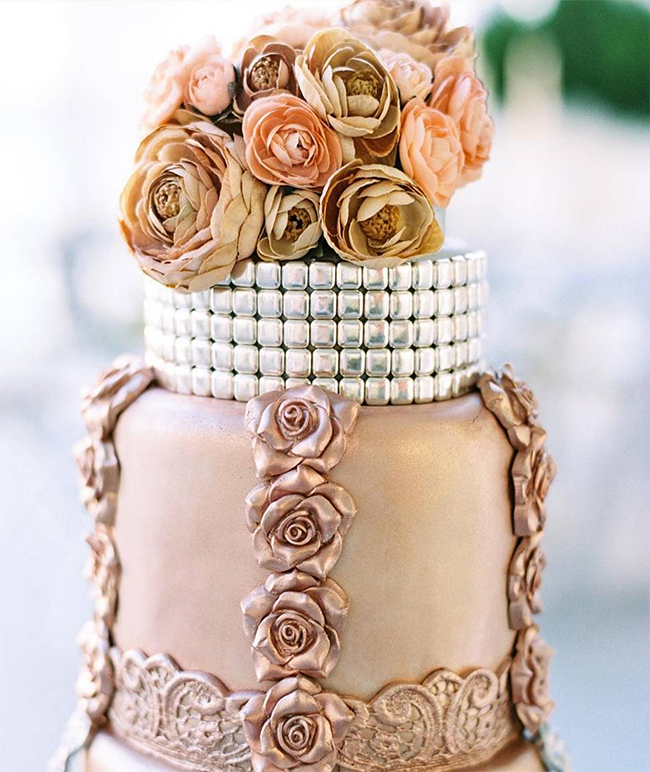 “I have never had a delicious wedding cake in my life! and i was a bit worried about my cake not being tasty so i was researching bakeries that have good reviews, charge a reasonable price and bake delicious cakes. I had done plenty of research, as well as tastings. and wasn't impressed by anyone. Until I met Angelica!! OMG, first of all she is an amazing person, and it is so easy to work with her. She is soooo sweet and kind. She is also very professional. Her work of art is as beautiful, as she is! Dear brides out there, make your life easier! and go with Angelica. you will not regret! TRUST ME- i had done my due-diligence and this was my very top choice!" vary per flavor, filling and decoration level. Three dimensions of incredible taste and exclusively decorated to add a touch of glamour to your affair! Ask me, I will create a dessert with your favorite flavor in mind.